The Gospel of John is different: John does not begin by telling the story of the human person Jesus. Recall, the Gospels of both Matthew and Luke begin with stories of the birth of Jesus—in vivid, nitty-gritty, even messy detail. A son is to be born of a virgin, an unmarried maiden. How scandalous! Luke expands the story to relate that this maiden, Mary, visits her older cousin Elizabeth in some backwater part of the Empire—just two women, laughing and singing—marveling, really—that God should show them such favor at opening their wombs. The Gospel of Mark is a little different. It begins not with Jesus’ birth but with his adult ministry: John the Baptist sets the stage and all at once Jesus is defeating the devil, proclaiming repentance, and healing the broken. And so, no matter what else is going on in the wide world, these three Evangelists remind us that God is in the nitty-gritty details of our lives. But the Gospel of John is different: John does not begin with the human person of Jesus; John begins, instead, with divine Jesus: the logos, the Word. And in using this phrase—in the beginning—John connects us not to the other three Gospels but to the very beginning of the Bible, to the creation of all things. Today, then, we’re not going to focus on little Jesus, meek and mild; baby Jesus, Christmas child. Instead, we will marvel with John on this first Sunday after Christmas—marvel at the Word becoming flesh and dwelling among us. And we will marvel together not just through the Gospel of John; but to help us I’m enlisting another, modern evangelist who also marveled at the Word made flesh: C. S. Lewis; and, more particularly, through his beloved children’s book series, The Chronicles of Narnia. So, to start us off, most of you know that I’m a fan of The Chronicles of Narnia. I’ve read it aloud to my kids—all seven books in the series—so many times I’ve lost count. The first book in the series is called The Magician’s Nephew. In it, two children fantastically end up in a faraway world, Narnia, on the very day of its birth. What they witness—C. S. Lewis’s explanation of “in the beginning”—is creation through song. At first all is darkness and silence. Then the children become aware of an almost inaudible music all around them. It’s nothing like any music we’ve ever heard on earth; but there’s no other way to describe it. It’s music. Almost immediately stars begin to appear in the sky. As more and more celestial bodies appear, the music increases in volume and intensity; and the children realize that the music and the appearance of the stars are connected: the music reaches a sustained note for a time just before a star appears; then it changes pitch, sustains, and another star appears. Loud and strong now, the children realize that this isn’t just any old music, but song: these are words they are hearing, sung words; in some language—some beautiful language—they don’t know. And all at once, as if in response to the loud and strong song, a moon appears in the sky; followed by a still louder and stronger song and the sudden appearance of the sun. Dazzled by such a bright, young sun, the children look away; and in the distance see a figure approaching. As their eyes adjust, they realize with fear that the approaching figure is a lion (whose name, they will soon learn, is Aslan). But they do not retreat, for their fear is overcome by wonder: the lion is singing too; and its voice is loudest of all! At the creation of Narnia, Aslan sings all things into existence: Aslan, an allegorical Jesus Christ. In the beginning was the Word. And God said—or, maybe, and God sang—Let there be light. And there was. This is how C. S. Lewis imagined it. But why not? John’s Gospel is highly poetic. Why not build on John’s image of poetry by imagining all things being sung into existence? The Word was with God. And the Word was God. And the Word—spoken, written, sung, does it matter?—the Word became flesh and dwelt among us; and we beheld his glory, full of grace and truth. The light shines in the darkness, and the darkness did not overcome it. . . . The true light, which enlightens everyone, was coming into the world. And—would you know it?—a stark contrast between darkness and light shows up in the seventh and final book of The Chronicles of Narnia, The Last Battle. Here the reader witnesses the final day of Narnia, as it is snuffed out forever. All creation is summoned to Aslan. And by all I mean all: sun, moon, stars, people, animals, plants, even mythical beasts who have long lain dormant awaiting this final day. All creation came into being by the Word of God; now all creation must answer to its Creator. And at last, after days or weeks or maybe somehow only a few minutes, all of creation has passed by Aslan and looked into his face; all creation has gone on either to Aslan’s left or his right. And the reader gets one last glimpse through a doorway of the old Narnia. But the reader sees nothing, only blackness. For through the doorway there is only absolute darkness—no more sun, no more moon, no more stars, no more life of any sort whatsoever—can you imagine? And with absolute darkness comes absolute zero. The world of Narnia that once thrived is now dead. There is no source of heat, no source of light, no source of life. At creation, light did away with darkness. It provided heat. It provided life. At Christmas a new light shines forth. Christmas brings new life to this old creation, shining far brighter than all the Christmas lights in the world ever could! One more: another theme we find in John’s prologue, and thus another connection between creation and Christmas, is life. Marvel of all marvels, the Word of God, the light that enlightens the world, the source of new life, has actually become flesh and dwells among us! Amazing! But where? Where does the logos of God dwell among us today? Where do we expect to encounter Jesus today? Isn’t it right here, in the church? But in The Chronicles of Narnia, Aslan shows up in every book. And it’s not always as people expect—it’s not even always in the flesh. He shows up on the page of a book; a person sees him briefly out of the corner of her eye; or he’s there in someone’s dream; or, in one book, he appears as a lamb. He’s not a tame lion, you know. In other words, we cannot predict when and where he’ll show up next. But that’s just John’s point—and C. S. Lewis’s! Jesus might show up where we expect him to, right here in church. Then again, he might not. Haven’t you ever felt that way, that you went through all the Sunday motions but still he never came? But then there are those days—ah, marvelous!—when and where we’re not looking for him at all; yet there he is, right in our midst—in a conversation with a stranger, at the dinner table laughing with friends, or at a wedding when the host has just desperately run out of wine for the guests. Sometimes Jesus doesn’t show up when and where we expect him to; and sometimes we don’t expect him to show up at all but he does anyway! We can’t put a box around Jesus. He’s not a tame lion. Well, that’s it; that’s all I have for you today. No practical take-home lesson—no quick-and-easy three steps to eternal happiness or whatever. Instead, today we simply marvel together. The very logos of God did show up at that first Christmas, so long ago; in a way that no one expected—in a backwater part of the Roman Empire. And he continues to dwell with us today in ways we can’t even begin to realize. The Word is flesh and dwells among us. We have crossed the great threshold. The old is passing away; the new is here! Today I offer more a reflection than an exhortation—appropriate for the first Sunday in Lent. So, let’s begin with a question: Weren’t we just here? The Gospel for the first Sunday after the Epiphany, just six weeks ago, was Mark 1:4-11, the baptism of Jesus. And the third Sunday after the Epiphany, just four weeks ago, if you recall, was Mark 1:14-20, the calling of the first four disciples, Peter, Andrew, James, and John. Here, today, we straddle the two with Mark 1:9-15. We begin with Jesus’ baptism and end with the message he brought to the first disciples. Yes, we were just here. But—did you catch it?—during the season after Epiphany, we actually skipped right over two verses, 12 and 13, the two verses right in the middle of today’s text. With everything else so fresh in our memories, this omission begs the question: Just what does the Gospel say, then, in vv. 12 and 13? And the Spirit immediately drove [Jesus] out into the wilderness. He was in the wilderness forty days, tempted by Satan; and he was with the wild beasts; and the angels waited on him. This is what we skipped over in Epiphany: the temptation in the wilderness. Which is certainly appropriate for the first Sunday in Lent. For Jesus was tempted by Satan for forty days in the wilderness; and thus for forty days in Lent we acknowledge Jesus’ trials by adding some kind of spiritual discipline to our own lives, in his memory and honor. But for the Gospel of Mark, this is it, just 2 verses! Just the sparsest details: he was tempted for forty days; he was with the wild beasts; and angels waited on him. In Mark, this is all we get. And it’s not a lot to go with. Next, are you familiar with the term liminality? It comes from the Latin word limen, meaning threshold; and its idea is illustrated especially well in the Gospel according to C. S. Lewis—otherwise known as The Chronicles of Narnia. The first book of this famous children’s series, The Magician’s Nephew, tells the creation story—the beginnings of Narnia—through the eyes of a boy named Digory; and his next door neighbor, Polly. It begins in London, set in the earliest decade of the twentieth century. Digory’s mother is dying of cancer. They are living in a family home; where his old, eccentric, and maybe treacherous Uncle Andrew also lives. Digory’s uncle, we soon learn, is delving into stuff he shouldn’t be, a mixture of science and the occult, stuff he doesn’t really understand. Somehow, he has managed to isolate and harness some ancient, magical powers in green and yellow rings. This old conniver then tricks Polly into trying on a green ring; who immediately disappears into thin air. Of course, Digory is shocked. And so Digory, feeling trapped, puts two yellow rings in his pocket without touching them to his skin; and dons a green ring on his finger, following Polly into this other world, wherever that might be. Where he finds her—they discover in time—is not another world at all; but a kind of threshold, a place filled with lazy green light and what looks like numerous ponds of water; and trees everywhere. These “ponds,” turns out, are portals into other worlds. One transports you to and from earth; another to and from a world called Charn; and yet another to and from Narnia. This wooded area is a liminal space, where nothing really happens; where you don’t know if several days or only a few seconds have passed; where you could lie down and sleep for all time without a care. It is nowhere, really; a kind of in-between place, simply enabling a traveler to cross over from one world to the next. So then, isn’t this idea—liminality—what’s happening here in Mark? Just prior to the temptation in the wilderness, Jesus was baptized. Baptism signifies initiation. Something new has come, something we know from later on in Mark called the kingdom of God. Following the temptation in the wilderness Jesus will take his newly proclaimed identity as Messiah and his message to the men who become his first disciples. The period of temptation in the wilderness is the threshold between, enabling Jesus to cross over from his old identity to new, from human peasant to divine king. It is his wood between the worlds. And what happens while he is there, during this in-between time in the wilderness? The scriptures give us just three sparse details: he is tempted for forty days; he is with the wild beasts; and angels wait on him. As I said earlier, it’s not much to go on. Forty days is a direct reference to Moses’ spending forty years in the wilderness with the Israelites. Moses and the Israelites, as we all know, fell short in their time of temptation, as they crossed their threshold from Egypt to the Promised Land; Jesus does not. The wild beasts harks directly to Adam. Adam was in the Garden where he was given the responsibility to name all the beasts. Of course, as we know, Adam fell short during his time of liminality in the Garden of Eden; yet Jesus does not fall short. And angels wait on him refers to the patriarch Jacob, who came to a point of personal brokenness and saw a heavenly ladder upon which the angels were ascending and descending, waiting on him. God changed his name to Israel, who crossed a threshold to become the nation of promise, the nation that above all others would bring blessing to the world. Yet Israel too fell short. Jesus crosses the threshold where all others have fallen. And thus today’s Gospel is both a picture of Jesus’ earthly life—of his early identity as a man, his trial, his crucifixion, his resurrection, and his newly understood identity as Savior and Messiah—and today’s Gospel is a picture of Christ’s eternal existence. Before he ever humbled and himself and took on humanity, he dwelled co-equally and co-eternally in heaven as a Person of the Trinity. After his resurrection, he returned to heaven with a new identity. Taking on humanity and living and dwelling with us as a human being was liminality, his wood between the worlds. Not much to go on? Incredibly, these two short verses in today’s passage contain the entire Gospel. And so here we are, on the first Sunday in Lent. We find ourselves in a liminal place, crossing a kind of threshold. Before we got here, last week in fact, our focus was on the Incarnation: God has come to dwell among us, understood especially in his advent, birth, and epiphany. Our identity was as a host. God came to visit us where we lived; and we gave God a place to stay. In forty days or so, beginning with and following the Great Vigil, our focus will be new life: God’s kingdom becoming the reality as our world fades, understood especially in the Resurrection, Ascension, and Pentecost. Our new identity will be as a guest. We will be invited into God’s realm; and we will be given a place to stay. Now, during Lent, we are crossing the threshold between the two, facing Satan’s temptations and trials; living with wild beasts; with the angels waiting on us. We are learning to let go of our old identity and live into our new. We are in that in-between place: no longer citizens of this world, but citizens of a new kingdom; no longer hosts to God but guests of God; our permanent residence is no longer in London but in Narnia. Lent reminds us, we are on a journey from old identity to new; a journey of transformation. Isn’t this the journey we all take, not just during Lent but through the course of life? And thus, today we see: Lent is life. I used to be a Calvinist. Is anyone here a Calvinist, or willing to admit it anyway? Anyone here know a Calvinist personally? Well, now you can all say you know someone who once claimed to be a Calvinist. Whatever the case, I’m going to give you a brief crash course in Calvinism. Calvinism—you may or may not know—holds to more extreme views in a lot of ways than Jean Calvin himself held. But that’s the way it often is with isms: a founding father espouses radical ideas in their own right; but it’s his followers that carry these ideas out to their logical conclusions. So, after Jean Calvin died, his ideas were read, marked, learned, and inwardly digested by Dutch Protestants, in Holland. And tulips grow in the land of the Dutch Protestants. So that’s how we know Calvinism: through the tulip: spelled T-U-L-I-P.
T is for Total Depravity. Calvinism teaches that everyone is totally depraved from birth. And by this Calvinists don’t mean that little babies are crawling around tagging buildings with spray paint on a rival gang’s turf and selling drugs. It’s not total depravity—mayhem, chaos—being acted out in every possible way. Rather, we have all been born with sin affecting all our faculties. We are so utterly depraved—even as cute, roly-poly, helpless infants—that there is nothing we can do on our own merit to save ourselves from our depravity. U is for Unconditional Election. If we are fortunate enough to be saved from our own depravity, Calvinists say, it is only through God’s own sovereign election. There is nothing we can do about it, one way or another; salvation is not based on some condition, like, “If you pray the sinner’s prayer, then God will save you.” Only God saves—or not. We merely hope and pray that we are one of the elect—or not. L is for Limited Atonement. Christ’s death on the cross atoned for the sins of many, so the argument goes, but not for all. The “many” he atoned for are the elect. The “not all” includes everyone else, the not-elect—which is really just another word for the damned. So, merely out of his own good pleasure, God predestines some people to spend eternity with him in heaven. But what does this mean for everyone else? Just that everyone else is predestined to spend eternity in hell, that’s all. And, because of their total depravity, God is blameless in the whole exchange. I is for Irresistible Grace. Calvinism says that God will save all the people he has predestined to save; and he will save them through a call that is irresistible. There is an old adage: “You can lead a horse to water, but you can’t make it drink.” According to Calvinism, however, God will lead the elect person to living water; and, quite like a puppet, the elect person will have no choice but to drink. And P is for Perseverance of the Saints. Those whom God calls—all of the truly faithful—will persevere until the end. Which is really a good loophole for those who fall away from the faith, isn’t it? George fell into sin. Well, no matter, he must never have been saved in the first place; for if he were truly saved, he would have stayed the course—he’d have persevered. So then, I used to be a Calvinist. But not anymore. At its logical conclusion—for me anyway—Calvinism makes God out to be a harsh taskmaster; leaving me fearful, wanting to take my talents and bury them in the dirt. But Jesus Christ is a God of love, not fear. Now, when I first read about Emeth, I was still a Calvinist. Emeth is a Calormene—a man from the made-up land of Calormen—in C. S. Lewis’s final book in the Chronicles of Narnia, The Last Battle. In Calormen, the men traditionally wear turbans, grow long beards, and smell of onions and garlic. The god they worship is named Tash. Their capital city is called Tashbaan. On the other hand, the Narnians’ culture is identifiably western. Is it just coincidence that the Calormenes share many things in common with Muslims? Anyway, when I first read about Emeth, I was still a Calvinist. After the final battle of Narnia has ended and all our heroes have passed through the doorway out of the shadowlands and into the glories of eternity, amazingly, Emeth is there too. But Emeth is a Muslim, I protested! In my Calvinistic mind, there was no way he could have been predestined. There was no way he should be in heaven, with me! But I was a Calvinist. I didn’t like the idea that a Muslim could find Jesus Christ through authentically seeking Allah. But what does the story of the Magi demonstrate? We know less about the Magi than we care to admit. Tradition says there are three of them. But the Bible doesn’t say this. All the Bible says is that wise men came from the East. Men is plural. There could have been two; there could have been forty. We assume three probably because there were three gifts: gold, incense, and myrrh. But what we do know—what the Gospel does tell us—is that they came from another part of the world, the East. They were not Jewish. They were Gentiles. And arguably the very first disciples of Christ! What we also know is that they were readers of the sky. They’d come to Jerusalem following a star by which, somehow, they discerned a child had been born King of the Jews. Key here, by the way, is sky, not scriptures. They had come seeking Christ by what Jews would have considered a method outside the box. But that’s it! That’s all the Gospel says. Were there three Magi? We don’t know. Were their names Melchior, Caspar, and Balthazar? Very probably not. But we don’t know for sure! Did they have a copy of the Jewish scriptures, left behind after the ancient Babylonian king had forced the Jews into exile? We don’t know. But what we do know is that they’d followed a star, the light of Christ. With what little means they had, they’d sought Christ authentically; and they’d found him. And thus the story of the Magi seems to align more with Emeth than it does with Calvinism. The story of the Magi shows us that, regardless of where they come from, authentic seekers find Christ. And by “where they come from” I don’t mean just the literal meaning, their geographical location. It includes the figurative meaning too, their religion. Can Muslims find the way, the truth, and the life through the Koran? Can Buddhists find Christ through the pursuit of enlightenment? Or—for that matter, and maybe hitting a little closer to home for us here in Yuma—can Mormons find the true light of Christ through the Book of Mormon? This story of the Magi suggests so. For in this story, authentic seekers find Christ regardless of geographical location or even religion. But a second—and much more important—question is this: what about you? Are you seeking Christ authentically? Maybe so. Maybe you are as eager to reflect the light of Christ today as the Magi were to find it in the days of old. If so, yea and amen! But maybe you’re feeling more like I felt when I was still a Calvinist. Maybe your religion has become burdensome for you, like some harsh taskmaster leaving you feeling like you should just go bury your talents in the dirt. If so, learn from the Magi. Set aside all your judgment, all your desire to be right all the time, all your desire to know everything—to know what is better left in the realm of mystery—and, with the Magi of old, come and worship Christ, the newborn King. The book of John is one of four Gospels in our New Testament: one of four books in the Bible that specifically proclaim the good news of Jesus Christ. Yet John begins not by connecting his Gospel to the other three Gospels. The other three Gospels start with the human person Jesus. The Gospels of both Matthew and Luke begin with stories of the birth of Jesus—in vivid, nitty-gritty, even messy detail. A son is to be born of an unmarried maiden. How scandalous! Luke goes on to relate that this maiden, Mary, visits her older cousin Elizabeth in some backwater part of the Empire—just two women, laughing and singing—marveling, really—that God should show them such favor at opening their wombs. The Gospel of Mark—a little different—begins not with Jesus’ birth but with his adult ministry: John the Baptist sets the stage and all at once Jesus is defeating the devil, proclaiming repentance, and healing the broken. But the Gospel of John is different: John doesn’t begin with the human person of Jesus; John begins, instead, with Jesus the divine: the logos, the Word. So, for a little while anyway, let’s set aside what we normally focus on throughout this day—little Jesus, meek and mild; baby Jesus, the Christmas child—and spend some time together contemplating just how these two cosmic events are connected. Just how is Christmas connected to creation? Well, for starters, John says, “In the beginning was the Word.” But in the beginning, when God created the heavens and the earth, the earth was formless and void; and darkness was everywhere. So, where does the Word fit into creation? Just here: God said, “Let there be light”; and there was light. God also said, “Let there be dry land”; and there was dry land. And God also said, “Let the waters teem with life”; and it was so. And so on. God spoke. God used words. And through God’s words—through God’s Word—all came into being that has come into being. Most of you know by now that I’m a fan of C. S. Lewis’s children’s book series, The Chronicles of Narnia. There are seven books in this series. The first is called The Magician’s Nephew. In this book, two children fantastically end up in a faraway world, Narnia, on the very day of its birth. What they witness—C. S. Lewis’s description of creation—is creation through song. At first all is darkness and silence. The children become aware of an almost inaudible music all around them. It’s nothing like any music we’ve ever heard on earth; but there’s no other way to describe it. It’s music. Almost immediately stars begin to appear in the sky. As more and more appear, the children realize that the music and the appearance of the stars are connected: the music reaches a sustained note for a time just before a star appears; then it changes pitch, sustains, and another star appears. Abruptly the music grows loud and strong. The children now realize that this isn’t just any old music, but song: these are words they are hearing, sung words; in some language—some beautiful language—they don’t know. All at once, in response to the loud and strong song, a moon appears in the sky; followed by a still louder and stronger song for a time and the sudden appearance of the sun. Now, dazzled by the sudden appearance of such a bright, young sun, the children look into the distance and see a figure approaching. It is the singer of this wonderful song: a lion, Aslan (they will soon learn his name). Aslan is singing all things into existence. And Aslan, if you know anything about the story at all, is an allegory of Jesus Christ. In the beginning was the Word. And God said—or, maybe, and the Word sang—Let there be light. And there was. This is how C. S. Lewis imagined it. But why not? John’s Gospel is highly poetic. Why not build on John’s image of poetry by imagining all things being sung into existence? The Word was with God. And the Word was God. And the Word—spoken, written, sung, it doesn’t matter—the Word became flesh and dwelt among us; and we beheld his glory, full of grace and truth. What did light do at creation? Before light was spoken into existence, the earth was formless and void; and darkness covered everything. Darkness covering everything shows up in another book from The Chronicles of Narnia: in The Last Battle, the seventh and final book. Here the reader witnesses the final day of Narnia, as it is snuffed out forever. And, of course, this book relates the final judgment. At last, after days or weeks or maybe somehow only a few minutes, all of creation has passed by Aslan and looked into his face; all creation has gone on either to Aslan’s left or his right. And the reader gets one last glimpse through a doorway of the old Narnia. But the reader sees nothing, only blackness. For through the doorway there is only absolute darkness—no more sun, no more moon, no more stars, no more life of any sort whatsoever—can you imagine? And with absolute darkness comes absolute zero. The world of Narnia that once thrived is now dead. There is no source of heat, no source of light, no source of life. At Christmas a new light has shone forth. Christmas has brought new life to this old creation. One more connection between creation and Christmas: the Word of God, this new source of life, has become flesh and dwells among us. Think back to creation. Where was God’s dwelling place? Where did God dwell among us? Wasn’t it in the Garden of Eden, right alongside the Tree of Life? And where does Jesus dwell among us today? In The Chronicles of Narnia, Aslan shows up in every book. And it’s not always as people expect—it’s not always in the flesh. Occasionally he shows up on the page of a book; or a person thinks she sees him briefly out of the corner of her eye; or he shows up in another person’s dream. He’s not a tame lion, you know. But that’s just John’s point. Jesus shows up where we would expect him too, right here in church—the Garden of Eden for the new age. But he also shows up when and where we don’t expect him—in a conversation with a stranger, or at the dinner table when we’re simply laughing with friends. He is the Word, after all. On the flip side, sometimes he doesn’t show up when we expect him too; or he shows up in a different way than we ever expected, and only later we realize we missed him. We can’t put a box around Jesus. Aslan’s not a tame lion. Christmas, then, is not just the story of God coming into the world in some backwater part of the Roman Empire. Today we don’t just remember that God is involved in the intimate details of each of our lives. Looking at Christmas through the eyes of St. John the Evangelist—and with some help from that modern evangelist, C. S. Lewis—today we see that Christmas is much more. Today, we see clearly that Christmas is smack dab in the middle of the grand sweep of salvation history. The Word became flesh and dwelt among us. And thus we’ve crossed the great threshold of time. The old is passing away; the new is here! C. S. Lewis—Clive Staples, or, to his friends, Jack—is the author of the beloved children’s series The Chronicles of Narnia. We say children’s series. But have you ever read them: The Magician’s Nephew; The Lion, the Witch and the Wardrobe; The Horse and His Boy; and so on? These seven books are profound. And while they do indeed tell stories that children enjoy—for their telling is simple enough—their content can be contemplated for a lifetime. We might call Lewis an accidental theologian. For, though a scholar of medieval literature by vocation, his heart, soul, mind, and strength bubbled a love for Christ that cannot but be noticed in everything he wrote, whether scholarly article or so-called children’s series. He’s a man definitely worth getting to know. I want to spend some time today focusing on the seventh (and final) book in the Chronicles, called The Last Battle; for a major theme from this story is also a major theme in the words we hear from Jesus in today’s Gospel. This section of the Gospel of John, by the way, is a prayer. Jesus is praying for his followers; Jesus is praying for us. Theologians refer to this prayer of Jesus as the High Priestly Prayer. There’s that age-old question: What does Jerusalem have to do with Athens? Well, if you will, my question today is: What does the High Priestly Prayer have to do with The Last Battle? So then, to set the stage, The Chronicles of Narnia largely follow the lives of four children, siblings, the Pevensies: Peter, Susan, Edmund, and Lucy. In the second book, The Lion, the Witch and the Wardrobe, the Pevensie children enter a land, Narnia, through a magical wardrobe. Narnia is entirely unknown to anyone on earth. Some of the animals there talk. There are mythological creatures come to life too: Fauns, dryads, naiads, centaurs, and so on. Ultimately, the ruler of all of that foreign world—including Narnia and its other lands: Calormen, Archenland, the Seven Isles—is a lion named Aslan. Aslan—spoiler alert!—is analogously Jesus Christ. So I’ve mentioned the wardrobe and the lion; if you want to know how and where the witch fits in, read the book!—or talk to me later. In the seventh book, The Last Battle, three of the Pevensie children—who are quite a bit older now—find themselves in Narnia once more. This time, apparently, they have been summoned to help the present king, Tirian, fight what at first appears to be a routine battle. Yet, as the story continues, Aslan appears and all characters realize that this battle is not routine at all, but will be the final battle between Narnia and Calormen. But not all is lost. Aslan appears and establishes two doorways. All the world’s subjects will pass through one or the other. When Peter, Edmund, and Lucy pass through the doorway on the right, they have no idea what they will find on the other side. But when they get there, they find themselves in familiar surroundings! Presently they see familiar Narnian sights. There’s the castle, Cair Paravel! There’s the lamppost, the very first object they’d ever noticed when they’d first entered Narnia so long ago. But then, focusing far away, like standing on one mountain peak and looking to another, they see familiar sights from London. St, Paul’s Cathedral. Westminster Abbey. Even some buildings that had been lost in the war to German bombings. Somehow—it now dawns on them—this world beyond the door is everything the old world was but better, richer, fuller. The old world—the world in which we live—is a mere shadowland compared to what the new heavens and the new earth will be. Now we see only in part; but then we shall see much more fully! Have you ever heard the accusation that Christianity is an escape from reality? Or, if the person saying it is feeling especially harsh, that reality is an escape from Christianity? Have you ever heard this? But—to reflect for a moment—is escape always wrong? On the one hand, we know escape can be wrong. We all know people who have turned to drugs or alcohol as a means of temporary escape from reality. Perhaps you’ve done it yourself. Without going into the dangers and damaging effects of such a practice, we all can agree that this is not an effective means of escape from reality. For drugs or alcohol merely suppresses the pain for a moment; they do nothing to produce hope. A long-time gospel favorite is the song “I’ll Fly Away.” Some glad mornin’, when this life is o’er, I’ll fly away; to that home on God’s celestial shore, I’ll fly away. . . . The focus here is escape. Life now, as we know it, is hard. We have bills to pay, obligations to meet, and often burdensome responsibilities to maintain. The constancy of these realities can wear us down. We might justifiably daydream about life in the new heavens and earth. And what we experience in our daily lives—by and large anyway—is nothing in comparison to the hardships experienced by, say, American slaves a century-and-a-half ago. Imagine having to live a life as someone else’s property! And any acts of rebellion such as running away, or even natural processes such as growing too old to be any longer productive, were subject to brutal punishments or even death—without any means of appeal! Many a great gospel song finds its roots here, in the oppressed American south. In this case, and others like it, I submit to you that escape isn’t so wrong. Songs of escape—theologies of deliverance—offer hope. And hope can produce all manner of goodness in a person, even the ability to love and forgive a harsh slaveowner. 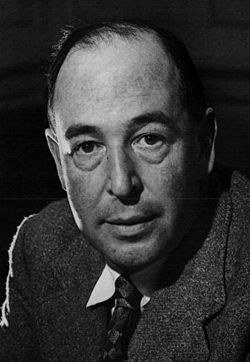 C. S. Lewis was accused by critics and skeptics of escaping from reality in his fantasy books—in his Chronicles of Narnia. These are children’s books, the argument goes; they encourage escaping from reality. And escaping from reality is not good; not something we want to encourage in children. Therefore children shouldn’t be allowed to read these books. Well, I think you know where I stand on this already, from my point about escape not always being bad. But where did Mr. Lewis stand? He answers this question in another book, called Surprised by Joy. This book is really a testimony, how he came to faith in Jesus Christ. From early on in his childhood, he explains, even from his earliest memories, he would catch glimpses of something—he couldn’t totally explain it—that would suggest a fuller reality. He felt it once when he viewed the mountains on the Irish horizon. He felt it another time when reading the Beatrix Potter story Squirrel Nutkin (if I remember correctly). This sense of a fuller reality compelled him from early life that this material world in which we live—the here and now—is not all there is. Life can be so much fuller, he was persuaded; life can be so much richer. But how? For C. S. Lewis—as for us—the answer is found in faith in Jesus Christ. And for him the literary genre of fantasy was in fact a means of expressing this fuller, richer reality. That was his answer to his critics; and he demonstrated this through The Last Battle, in which the heroes of the story enter a richer, fuller reality upon passing through the door on Aslan’s right. Fantasy for Lewis, then, is not an escape from reality. If it is an escape at all, it is an escape to a fuller reality. Now, as promised, we come to today’s Gospel, the Gospel of John. The community in which John lived, and to which he wrote, was a persecuted community. It had been excommunicated from the focal point of its larger community, the synagogue. By the time the Gospel of John was written, this excommunicated group of Christ-believers—of Christians—had banded together, retreating from their larger community, feeling ostracized, excluded, and otherwise rejected. No doubt they wrestled with feelings of escape—escaping from their world; their reality. I am no longer in the world, but they are in the world. But now I am coming to you, and I speak these things in the world so that they may have my joy made complete in themselves. I have given them your word, and the world has hated them because they do not belong to the world, just as I do not belong to the world. I am not asking you to take them out of the world, but I ask you to protect them from the evil one. They do not belong to the world. As you have sent me into the world, so I have sent them into the world. Christ’s disciples are not called to escape from their reality. If anything, they are called to escape to a new, fuller reality, where they remain in the world but are not of the world. And Jesus wasn’t just praying for that community—those disciples in that day. In today’s Gospel Jesus is praying for all disciples in whatever community we find ourselves. In today’s Gospel Jesus prays for us. May we dwell now in that fuller reality that is the Kingdom of God. God works in very different ways than we might expect. C. S. Lewis tells a great allegory of Christ—his ministry, trial, death, and resurrection—in a story called The Lion, the Witch and the Wardrobe. Four children, siblings, the Pevensies, find their way into a land called Narnia, magically, through a wardrobe. In that land there are talking beasts and mythological creatures come to life. It is apparently ruled by a very stern witch, who has made it always winter but never Christmas. Whenever anyone crosses her, she turns them to stone. The children soon learn, however, that there is a greater ruler, a king, who is magnificent and benevolent. He has been away but will soon return; and when he does the witch better watch out! This king, they learn, and not without a little fear, is a lion named Aslan. Well, if you’ve heard the story then you know that Aslan is a picture of Jesus Christ; and the witch is a picture of Satan. In this story—as in our own—betrayal takes place, seen especially in one of the humans, Edmund. This betrayal is worthy of death; and the witch will not take no for an answer. But Aslan willingly offers to die in Edmund’s place. The witch is almost overjoyed at this offer. But just to be sure she reminds Aslan that once this covenant is agreed upon, it cannot be changed according to the laws of deep, ancient magic. Nevertheless, Aslan’s offer stands. He is sacrificed on a Stone Table in Edmund’s place. It seems like the witch has won. The girls, Susan and Lucy, weep and attend to their dead Lord. When their grief is spent, they turn to leave. Then, with their backs to the Stone Table, the sun rises and the girls hear a tremendous crashing sound. They turn around and see that the Table is cracked and broken; and that their Lord, Aslan, is nowhere to be seen. Thinking the worst—“Oh, haven’t they humiliated him enough already!”—Aslan appears suddenly, more radiant than ever, with drops of golden sunlight seeming to fly from his mane. And the witch and all her cronies, far away now, tremble! Now let’s look at the triumphal entry. People spread their cloaks across the road so that Jesus can ride a donkey across them. A donkey, the symbol of a king! To this crowd, here is their savior, come to set all things right; come to deliver the chosen people of God from their human oppressors. But after just a few short days, this new savior comes up short in their eyes. He was noticed by the authorities at the Passover Feast. But instead of fighting he retreated into a garden, where he was found hiding from his pursuers. Now, during his trial, he’s just standing there, silent. Why doesn’t he do anything about it? Some messiah he turned out to be! Jesus didn’t satisfy the crowd’s understanding of deep, ancient magic—something called, theologically, the Abrahamic Covenant. Jesus did not in any way they could see help them to take back the land that was rightfully theirs, according to what God once told Abraham. And so Jesus, according to the crowd, was not their messiah. But there was a deeper, more ancient magic at work—a magic that is far older than Abraham, even far older than Adam and Eve. Perhaps if the crowd had paused and reflected, they might have seen this deeper magic at work in Jesus’s arrest and trial. Perhaps if the crowd had paused and reflected, things would have turned out differently. Perhaps if the crowd had paused and reflected, they would have seen that Jesus was indeed their Messiah in much more profound ways than they’d ever expected. This is something we do as a church every year during Lent: pause and reflect. Why? Precisely this: to consider the deepest and most ancient magic of God; that Jesus is our Messiah in much more profound ways than we could ever know. It all comes together this week: Holy Week. Have you ever had a dream that seems so real that when you wake up you find yourself disappointed? The reality of waking life seems less real, in a way, than the dream just felt. You try to go back to sleep, if only for a moment, to return to that fake reality of the dream. But it can work the other way too, yeah? You may have a nightmare so terrifying that, once you wake from it—covered in a cold sweat and trembling—you regret that you couldn’t rouse yourself to reality sooner. If only I could have woken up, you think; but thank heavens I’m awake now, that this world is in fact reality and not that other world of my dreams. Noted Christian author C. S. Lewis plays with this idea quite effectively in the fifth book of his beloved Narnia series, Voyage of the Dawn Treader. With the exception of the very beginning and end, the story takes place entirely in a made up world. It is a time of peace in the land of Narnia, so the king, Caspian, collects a crew and casts off on a voyage of exploration. The ship is named “Dawn Treader”; and the purpose of the voyage is twofold: to sail eastward, beyond all previous explorations; and to locate seven king’s men who vanished several years before during a similar exploratory voyage. Several chapters later the Dawn Treader’s crew finds a missing king’s man at a mysterious island where all a person’s dreams come true. The missing man is hauled aboard the Dawn Treader in almost utter darkness—the crew found him by his screams—and he cannot believe it. He keeps pinching himself, expecting at any moment that his rescuers will vanish before his eyes into oblivion. That’s when he tells the others what this island is all about, that it is a place where all one’s dreams come true. Well, you can imagine the initial hoots and hollers of delight from the crew. For upon first hearing this they recall all the best dreams they’ve ever experienced, like those ones I mentioned above that you don’t want to wake from. But after a word of caution from the frightened man (“Oh, no! You don’t understand. I said all your dreams come true!”), and a collective moment of silence while everyone processes what the man has just said, all manner of pandemonium breaks out as the crew desperately tries to turn the ship around and get out of Dodge. It won’t spoil the story too much to say the crew made it out (I highly recommend the whole series! ), but only after succumbing substantially to the spell-like stupor of the place—only after reaching a point themselves of losing all distinction between hallucinations and reality. Along these lines (of reality blurred), we could take a step further back and look not just at C. S. Lewis but at the entire world of fiction. Fiction, by its very definition, is not reality. But more often than not it tells a story more realistically—it captures the realities of humanity, of good, of evil, of life in all its complexities better—than non-fiction, or what we call reality by definition. Now then, on to All Saints’ Day. One of our lectionary’s readings for this feast is Revelation 7:9-17. Here John relates a vision—a dream, or even a hallucination. But the reality of it is much more truly real even than what we experience in our day-to-day lives in this material world of ours. What John sees in his vision is a huge gathering of people, a number beyond what anyone can count; people of every tribe, tongue, nation, and language of the world. They’re dressed in white and waving palm branches. And they’re standing before a throne upon which sits a lamb. Other creatures are present too—animals of some sort and angels. But the great multitude that John sees is clearly and distinctly people. This vision that John has is of all the saints, the feast we celebrate on All Saints’ Day. We see now only in part. Don’t you long for true reality?